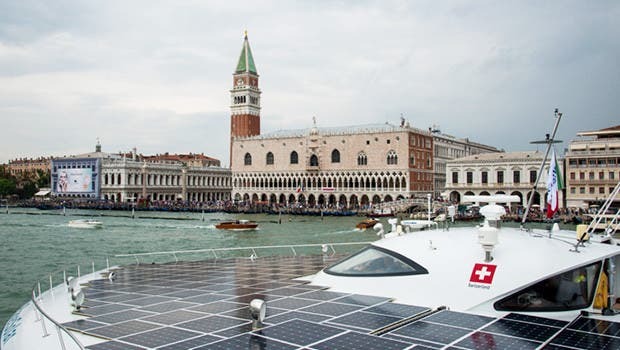 Launched on April 13 in Boulogne-sur-Mer, France, the 2014 campaign for PlanetSolar comes to an end today, in Venice, Italy, the boat’s last stop and prestigious winter home, according to PlanetSolar. This 9,000 kilometer trip, spread out over 5 months of navigation, featured stops in Atalayoun (Morocco), Monaco, and then Greece, where the ship transformed into a scientific platform as part of the “TerraSubmersa” archeological expedition, led by the University of Geneva (UNIGE). The “TerraSubmersa” scientific expedition, which took place during the month of August, explored the prehistoric landscapes that have been swallowed up by the waters of the Kiladha Bay, located off the coast of Greece, in order to reconstruct them and identify potential traces of human activity. 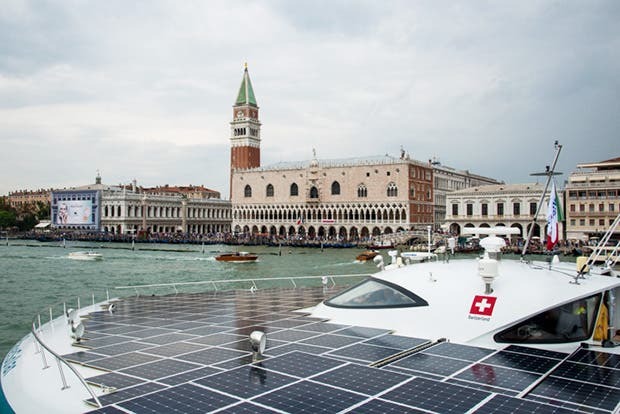 PlanetSolar will spend the winter in Venice, thanks to a partnership with Vento di Venezia (VdV), the organization responsible for promoting the Island of Certosa, which rests in the Venetian Lagoon. During this period, which will last until May 2015, VdV and PlanetSolar will jointly organize public visits and private events. To celebrate the end of her campaign, a series of activities will be organized around the boat from September 4 to September 9. PlanetSolar’s adventures have been due to the boat’s owner, the Stroeher family, a German family that is passionate about solar technologies, and has been operating behind the scenes since the start of the project. The goal was on the one hand to conceptualize an idea that could prove the effectiveness of solar technology, and would help promote and develop that sector. On the other hand, we also wanted to demonstrate that beyond her technical prowess, the ship could be used for concrete, useful goals. — Immo Stroeher, the family’s patriarch. The businessman’s financial investment, as well as his significant personal engagement, has allowed PlanetSolar to go much further than a single trip around the world, in creating a durable enterprise that now allows the ship to be used for specific goals. The MS Tûranor PlanetSolar, winner of 6 Guinness World RecordsTM, not only completed the first solar-powered voyage around the world, but has also successfully carried out two unique scientific missions in 2013 and 2014, both of which were punctuated with prestigious stops during which countless visitors were able to visit the interior workings of the ship! Today, we are very proud to note that after the success of her voyage around the world, PlanetSolar has undergone a perfect transformation, carrying out not only scientific missions, but also serving as a powerful tool of communication thanks to the enthusiasm she generates at each stop. Our expectations have been exceeded, and it is time for us to retire, and pass this unique ship on to a new owner. –Immo Stroeher. Authors note: We bid a fond farewell to the good captain and crew of this marvel of solar technology and look forward to their next, new adventures. Source: 1Sun4All. Reproduced with permission. Amber Archangel -- I am an artist, painter, writer, interior designer, graphic designer, and constant student of many studies. Living with respect for the environment close at hand, the food chain, natural remedies for healing the earth, people and animals is a life-long expression and commitment. As half of a home-building team, I helped design and build harmonious, sustainable and net-zero homes that incorporate clean air systems, passive and active solar energy as well as rainwater collection systems. 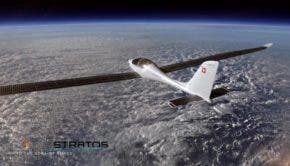 Private aviation stirs a special appeal, I would love to fly in the solar airplane and install a wind turbine in my yard. I am a peace-loving, courageous soul, and I am passionate about contributing to the clean energy revolution. I formerly designed and managed a clean energy website, 1Sun4All.com.